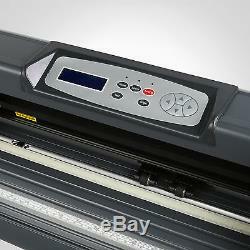 28 720MM Vinyl Cutting Plotter W/Artcut Software Contour Cutting New Model. 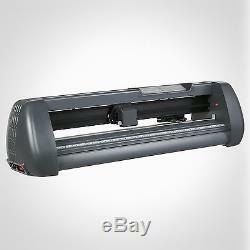 This 28 720MM vinyl cutting plotter has a contour cutting function. (should take extra Flexsign software). 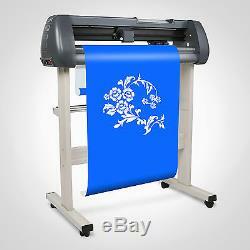 And is used to cut all kinds of pictures, letters, and similar materials on self-adhesive vinyl sticker. There is another software named Signmaster-not for free. If you need it, please contact our customer sevice. In this version, If you have an image that has many colors in it, you can easily isolate each color and cut them separately. Works with your installed TrueType and OpenType fonts. Works with thousands of free TrueType Fonts including Dingbat/Wingding Fonts. Import various file formats, including SVG and PDF. Drawing tools to draw and edit shapes. Weld overlapping letters and shapes together. Select styles, including shadow and blackout, to change the look of your letters and shapes with just a few clicks. Auto-tracing feature to automatically convert images for cutting. Save and share your design layouts. Pport and access to professionally made video training series. Low cost and high performance machine for the manufacture of signaling. Controlled by RISC high-speed processor, a high speed cache. It can regulate the pressure and speed numerically at real-time. It supports CorelDraw files, bringing great convenience to work. 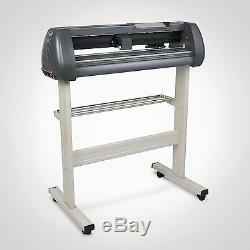 The cutting plotter is highly stable and has nearly no malfunctions. It has a stylish design and very solid support. Compatible with Windows 10, VISTA, XP. 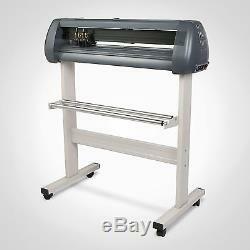 The cutting plotter has LCD with a very accurate and simple English Menu, operated it by pressing buttons. 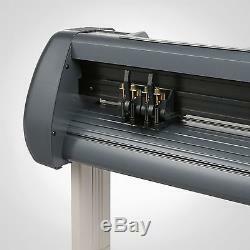 The plotters pinch rollers are adjustable. Blade Types:Standard Roland blades and compatible blades. 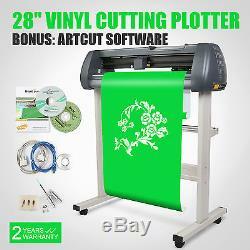 Included items:Vinyl cutter, blades, blade holder, pen attachment, serial cable, usb cable, power cable, Artcut Software. Interface:Serial Port & USB2.0. 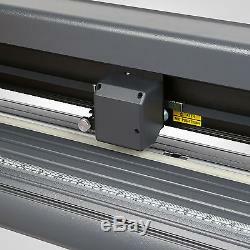 Max Cutting Width:24.80 (630mm). Max Feed Width:28.3 (720mm). Max Speed:48 in / sec. 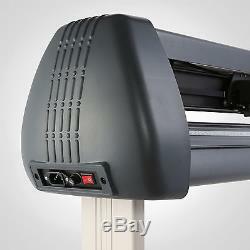 Power Requirements:100-220V AC 50/60Hz Auto-switching (worldwide). Repetition Accuracy:0.005IN (0.127 MM). Resolution:0.001Inch/step (0.0254mm/step). 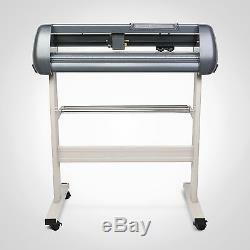 1 x 28 (720MM) Cutter Plotter. 1 x User's Manual. 1 x 3 Driver CD. As a leading and emerging company in manufactory and exporting business, we are specialized in Business and Industrial Products, Sporting Goods, Pet Products, Home and Garden products for more than 10 years. We believe that it is our vision and mission to provide innovative products with best service and competitive price to satisfy you. Our goal is to make sure that you can find exactly what you are looking for and make it easy for you to place your orders. If you have any changes, pls inform us. We are located in Sydney, AU. All emails will be responded to within. You need to change your order ex. You want to check/help track your package. You Receive a Broken or Incomplete Item. General non-technical questions about items and auctions. You want to cancel an order. A: Please log on your account. Q: How do I return an item? Please contact our customer service before you return an item. 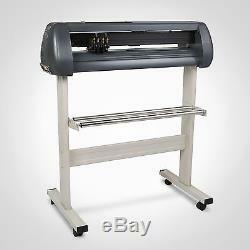 The item "28 VINYL SIGN STICKER CUTTER PLOTTER WITH CONTOUR FUNCTION CUTTING MACHINE HOT" is in sale since Friday, August 14, 2015. 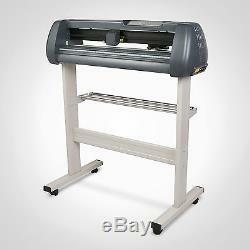 This item is in the category "Business\Printing Equipment\Plotters". The seller is "amazingitem" and is located in Sydney. This item can be shipped worldwide.